“Develop concentration, o monks, a concentrated monk, o monks knows form (thinking): “impermanent”. So seeing, the noble disciple will be freed from birth, etc. “Develop concentration, o monks, a concentrated monk, o monks knows form as impermanent. So seeing, the noble disciple will be freed from birth, etc. Some of you might say, that is the same, but the second translation sounds more readable…well, i disagree. Strongly. And here is why: This second translation misses a big point. The first literal translation makes this passage from the Buddha a meditation instruction. Buddha literally asks the monks to “note”, or “label” any form (saying but more likely thinking) “impermanent”. He even starts the second sentence saying “so seeing”. The second translation makes you immediately wonder: “how do i see it as impermanent”. Whereas, in the first translation, it tells you exactly what to do. However, in cases where the Buddha is talking about a meditation topic, as far as i know, nobody came of the idea to follow through and translate such a passage in the same way! Probably because of limited exposure to Buddhist meditation and practice methods. (Remember: Vipassana practice with the usage of “labels” was reintroduced into Theravadan practice just recently in the 50s from Burma. Even for samatha practice the only place translations get this right is in Visuddhimagga’s description of the kasinas where even a modern day translator would know to translate “pathavi, pathavi”, i.e. literally. Besides, monks/scholars who translated the majority of Pali texts usually tended to have a more academic interest in Buddhism). So most translations from the Pali canon where made before this not unimportant detail of Buddhist practice become known. …which would this time literally translate as “perceives/regards/knows form as impermanent” … but, as we saw, this is not what the Buddha said here. Now, very often, after the Buddha or another monk gives such a direct instruction they would point out to trees, huts and meditation places. “Go, sit down, and practice!”. It really could not get more practical then that!!! just, when you perceive it, label it, noting: “impermanent”. yaṃ pana tattha avasiṭṭhaṃ hoti taṃ ‘santamidaṃ atthī’ti pajānāti. ‘‘So sukhañce vedanaṃ vedeti, ‘sā aniccā’ti pajānāti, ‘anajjhositā’ti pajānāti, ‘anabhinanditā’ti pajānāti. Dukkhañce vedanaṃ vedeti, ‘sā aniccā’ti pajānāti, ‘anajjhositā’ti pajānāti, ‘anabhinanditā’ti pajānāti. Adukkhamasukhañce vedanaṃ vedeti, ‘sā aniccā’ti pajānāti, ‘anajjhositā’ti pajānāti, ‘anabhinanditā’ti pajānāti. Dīghaṃ vā assasanto ‘dīghaṃ assasāmī’ti pajānāti. So upekkhakova samāno ‘upekkhakosmī’ti pajānāti. The suttas are full with this kind of meditation instruction. If you like to look this up for yourself just search for “*ti jānāti” (or similar) with a program like the CST4 in the pali canon. It will return hundreds of results with instructions for samatha as well as vipassana type meditations. Yaṃ, bhikkhave, satthārā karaṇīyaṃ sāvakānaṃ hitesinā anukampakena anukampaṃ upādāya, kataṃ vo taṃ mayā. Etāni, bhikkhave, rukkhamūlāni, etāni suññāgārāni; jhāyatha, bhikkhave, mā pamādattha; mā pacchā vippaṭisārino ahuvattha. Ayaṃ vo amhākaṃ anusāsanī’’ti. Did we really expect him to “hide” his instructions? Not emphasize them clearly and make them obvious to anyone willing to hear? It seems then, that the “ordinary” listener at Buddhas time could indeed – while listening or after hearing a sermon – apply the teachings and put them into practice right away, without the need to seek guidance from a series of seminars which would iniate him. For, at the time of the Buddha, the meaning of “iti” was clear. We, on the other hand, had to wait for a Ledi or Mahasi Sayadaw to make use of the commentarial “sallekkhati”-verb (to mark, lable) or alāpeti (to ‘count’) to explain something hidden in plain sight. Thanks to the input of Dmytro and others one crucial thing to understand here is that even though “iti” may imply a form of noting it does NOT imply thinking (in that case we would find a word like ‘cinteti’ or ‘vitakketi’ etc.) If you ever participated in a Mahasi/Goenka/Nyanarama style vipassana retreat you would know what is meant by that. “Thinking” would imply random, discursive elaboration…it would imply a continuous identification with “Dhamma thoughts”… no, this is definitely not meant here (and hopefully not misunderstood). The correct way of using a label/noting would rather resemble a quick, swift and decisive “tagging” of the object which drew our attention in and starts to unfold into a proliferating world. The usage of such a short label like “this is impermanent” or simply “impermanent” is only a means in facilitating our vision. If not stopped by this label (especially on weak concentration grounds) the mind will simply continue to pull you in. So with the help of such a label the mind is stopped in its tracks, can quickly return to its anchor point (like breath) and within this “differential” is able to see what just happens/ed. Iti (ti) (indecl.) [Vedic iti, of pron. base *i, cp. Sk. itthaŋ thus, itthā here, there; Av. ipa so; Lat. ita & item thus. Cp. also P. ettha; lit. “here, there (now), then”] emphatic<->deictic particle “thus“. Occurs in both forms iti & ti, the former in higher style (poetry), the latter more familiar in conversational prose. — I. As deictic adv. “thus, in this way” (Vism 423 iti = evaŋ) pointing to something either just mentioned or about to be mentioned: (a) referring to what precedes Sn 253 (n’eso maman ti iti naŋ vijaññā), 805; It 123 (ito devā. . . taŋ namassanti); Dh 74 (iti bālassa sankappo thus think the — foolish), 286 (iti bālo vicinteti); Vv 7910 (= evaŋ VvA 307); VvA 5. — (b) referring to what follows D i.63 (iti paṭisañcikkhati); A i.205 (id.) — II. As emphatic part. pointing out or marking off a statement either as not one’s own (reported) or as the definite contents of (one’s own or other’s) thoughts [sic!]. On the whole untranslatable (unless written as quotation marks) […that’s why its missing in many translations…the dictionary makes a case for omitting it…], often only setting off a statement as emphatic, where we would either underline the word or phrase in question, or print it in italics, or put it in quot. marks (e. g. bālo ti vuccati Dh 63 = bālo vuccati). — 1. in direct speech (as given by writer or narrator), e. g. sādhu bhante Kassapa lābhataŋ esā janatā dassanāyā ti. Tena hi Sīha tvaŋ yeva Bhagavato ārocehī ti. 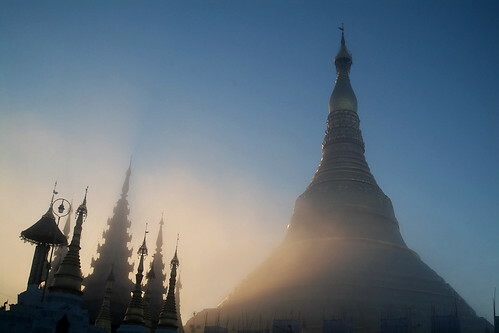 Evaŋ bhante ti kho Sīho . . . . D i.151. — 2. in indirect speech: (a) as statement of a fact “so it is that” (cp. E. “viz.”, Ger. “und zwar”), mostly untranslated Kh iv. (arahā ti pavuccati); J i.253 (tasmā pesanaka — corā t’ eva vuccanti); iii.51 (tayo sahāyā ahesuŋ makkato sigālo uddo ti); PvA 112 (ankuro pañca — sakaṭasatehi . . . aññataro pi brāhmaṇo pañca — sakaṭasatehī ti dve janā sakata — sahassehi . . . patipannā). — (b) as statement of a thought “like this”, “I think”, so, thus Sn 61 (“sango eso” iti ñatvā knowing “this is defilement”), 253 (“neso maman” ti iti naŋ vijaññā), 783 (“iti’ han” ti), 1094 (etaŋ dīpaŋ anāparaŋNibbānaŋ iti naŋ brūmi I call this N.), 1130 (aparā pāraŋ gaccheyya tasmā “Parāyanaŋ” iti). It seems that the (abhidhammic) term “apilapana” or “abhilapana” was used by later generations of Buddhist teachers to explain/describe the same exercise or concept of insight meditation. Thank you for your great question. This question can be answered with a rather practical example. Suppose you are sitting in a movie theater lost in the story of a movie, overwhelmed by the power of its story, the laughter, the tears, the drama…the emotion. For an outsider it would appear as if you are caught, dreaming, completely overpowered by the names and forms you see. Lets say my mission is it, to “wake you up”. And lets pretend I can only do that through the means of the movie, which you are watching, itself. Well, as soon as I tell you to disregard the story and put your attention to the p r o c e s s of the story itself, you will start to see, how your mind is fooled by a quick procession of frames. How would you do that? You have to remove the attention from the content (“the story”) and instead direct it towards how your mind perceives that story. The labeling (and that is why you see the Buddha use all kinds of labels, not just “impermanent” but also “form is a shackle, form is a disease, form is movement (injita)…etc etc.” – it is not the label by itself, although it works even better if you use a label which points the mind to some quality of the process of sense experience when you try to disengage it from the content of that story (anicca, dukkha, anatta or ‘this is not mine, not me, not my self’ are great choices in this regard) but at the end of the day, in the environment of insight meditation, backed by very strong concentration, what these labels will accomplish is a shift of your attention away from the magic show’s tricks (the story of the world you live in) and move your focus to the process of sense experience and how that magic trick is being generated. One of the first aspects of noting in this way is to get a very very deep experience of impermanence – one will witness, in “real-time” the flashing (coming and going) of the six sense impressions… So the funny thing is this: by using “right view” in form of a note attached to each sense impression (in meditation) and powered by sati and samadhi (this is colloquially called ‘vipassana’)…one gets to see for oneself, in real time, fully experiencing it, the impermanence, the selfless and inadequate nature of that very sense process. So I hope you can see, that the label itself is just a means to the goal, a smart choice of name itself to undo the magic of names, but by itself is not all that important.